You know…I raved once, almost two years ago, I believe, about Chebe Cheese Bread Mix. I had made up the little breaded balls of goodness to accompany a pasta dinner I was preparing for a friend who was coming for the weekend. Much to my delight…Greg (the guest), my roommate, and I all loved the taste, texture, and fluffiness these had. So, Chebe rose to the top of my gluten-free go-to’s. Even though I didn’t really purchase anything further of the brand until my local grocery store put their entire gluten-free section on closeout. Picture me in panic mode as I grabbed a huge shopping cart and began tossing items I had wanted to try, but never got the chance to, into my cart for the reduced price. One such product was Chebe Gluten-Free All Purpose Bread Mix. 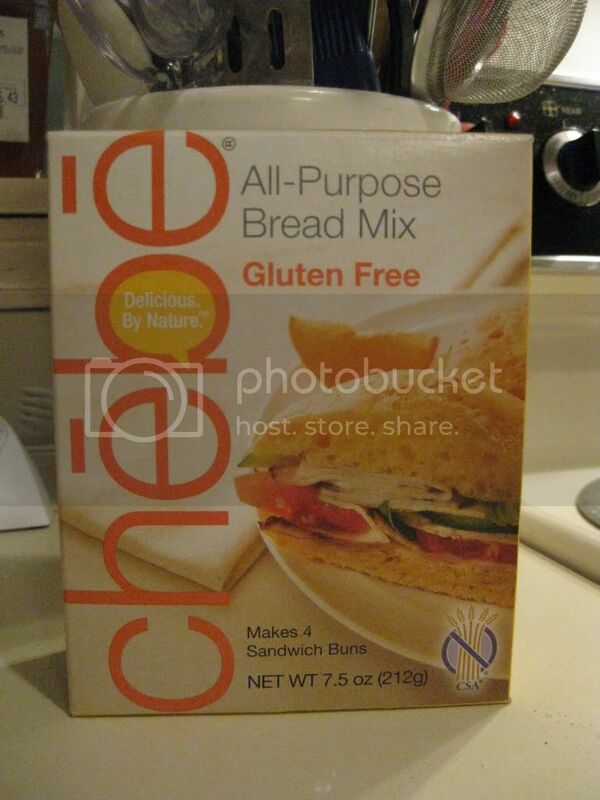 The great thing about Chebe Gluten-Free All Purpose Bread Mix is how allergen friendly it is. Not only is it gluten-free, but it is also soy free, corn free, rice free, potato free, yeast free, peanut free, tree nut free, egg free (unless you use it in the mix instead of egg substitute), lactose/casein free, iodine free, and sugar free. This mix is also non-GMO and certified kosher! Well, my pantry is quite full of numerous mixes and delicious things to try. So, this just sort of sat. But with the expiration date fast approaching…it was time to give them a shot. And, I was thinking something light and savory for dinner. 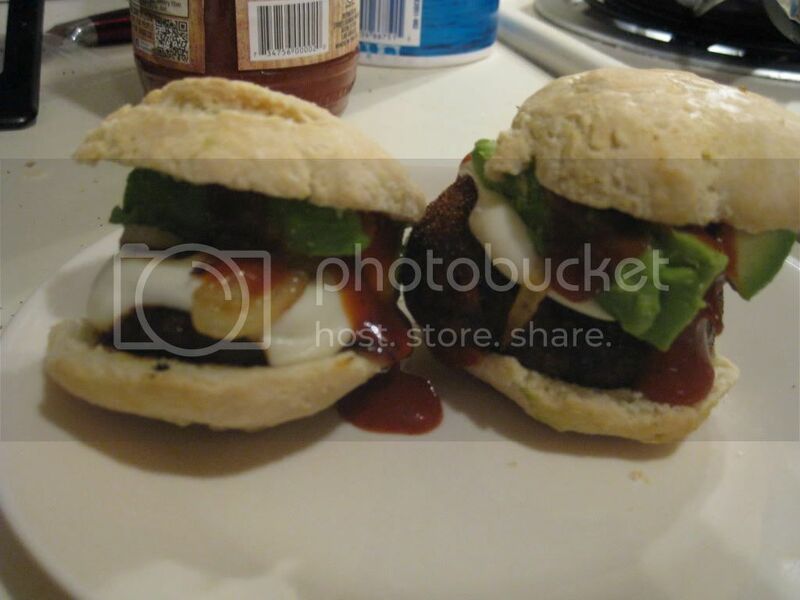 So, I hit up Pinterest and found a recipe for BBQ Portobello Sliders. Now, I didn’t have portobello mushrooms, but had rather large crimini ones in my fridge from my CSA bin. I had the rest of the ingredients too. What I lacked was the most obvious part of the slider…the slider buns. Then…it dawned on me that I had this mix in my pantry…and it was getting close to the time it needed to be used up. So, out it came and I got to work on making up my own little gluten-free slider buns. This was a simple process. Following the instructions on the box, I simply poured the bread mix into a bowl, added two eggs and 2 tablespoons of olive oil…mixed that together…then slowly added exactly 1/4 cup of water. Once that was all incorporated and blended, I kneaded the dough with my hands until it was smooth and all one large lump of bread dough. And here is where I went off script. The rest of the recipe created 4 sandwich buns…but I wanted slider buns. So I made 10 little rolls out of the lump of bread, flattened them down into little round disks like the recipe said, and brushed each one with olive oil. I then put it in my oven at 375° F for about 25 minutes and allowed them to bake. When time was up, I removed them from the oven and allowed them to cool on the baking sheet while I prepared the mushrooms, caramelized the onions, and sliced an avocado. First of all, I was hoping these would crisp into a beautiful golden-brown…but they never quite did. They looked anemically pale. It was a bit off-putting, but…that was the last of my problems. The mix, prior to putting everything together was a very white, very thin powder. That being said, this Chebe mix is made up simply of tapioca powder, modified tapioca starch, cream of tartar, sea salt, and sodium bicarbonate. You can add cheese to the mix, but I didn’t…as the sliders were going to have cheese on them. Still, with the brushing of olive oil…one would think there would still be some golden crust forming. That was the first disappointment. The second disappointment was that they really didn’t puff up much. The flat little disks of dough rose only slightly in the heat of the oven. So…these made for very flat slider buns. Finally…the third disappointment was…the taste. 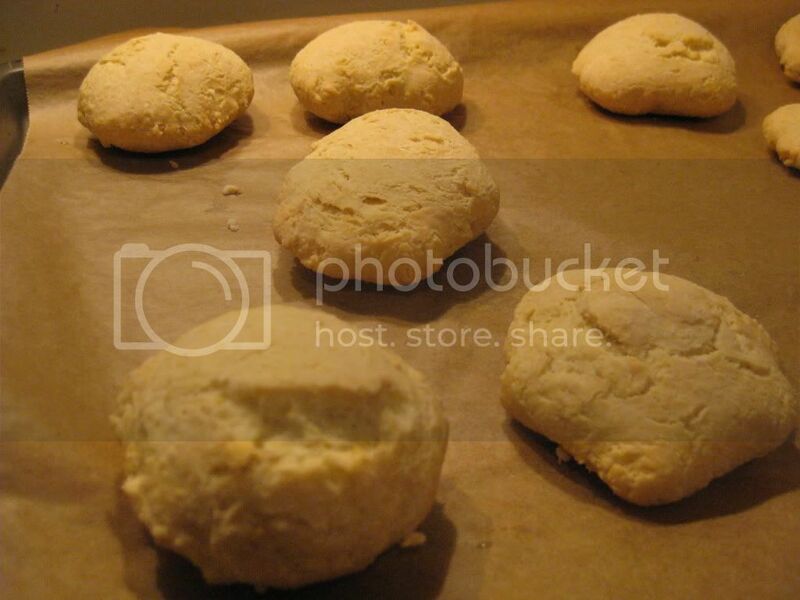 Not that these tasted bad…they just weren’t light and soft like the Cheese Bread that I made from Chebe. This dough wasn’t too dense, but it was definitely not soft and squishy like a slider bun should be. It just felt…wrong. The flavor was fine…but it was the texture that was just all wrong for me this time. It just didn’t work. But…I went ahead and sliced the flat rolls in half (as best I could) and filled them up with my mushroom caps, vegan cheese slices, caramelized onions, avocados and a drizzle of barbeque sauce and used them for the purpose I baked them up for. It wasn’t bad. I just wish they had been softer and a bit fluffier. That being said, I have six more rolls in my fridge that I’ll use up tomorrow by making breakfast slider sandwiches. I am kind of sad about the way this mix turned out, because I have raved about Chebe in the past and was really hoping for that trend to continue. Sadly…this one failed to win me over. Maybe, with some convincing, I’ll give another mix a try. But this one…won’t find it’s way into my pantry again any time soon. This entry was posted in Bread, Breakfast, Burger, Cheese, Entree, Food, Gluten-Free, Mix, Mushrooms, Products, Review, Sandwich, Sauce, Vegetables, Vegetarian by The Celiathlete. Bookmark the permalink.